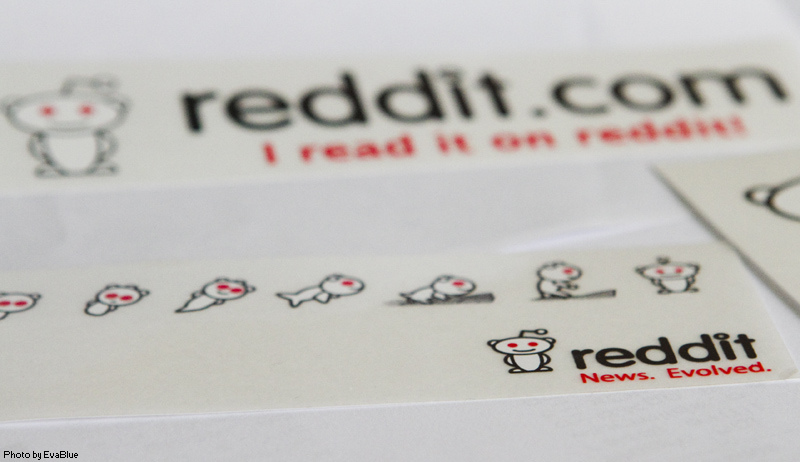 Reddit is the fastest Growing site on internet. Its a website where anyone can submit hyperlinks of interesting stuff from all over the web. If you have never visited Reddit, chances are, you will dislike it for the first time. The design is inspired from the early days of internet with small fonts and blurred votes , which can easily distract a new user. But Looks are deceptive. Massive Reddit stats proves that. It is only 10 year old and have reached to a Global Rank of 32 according to alexa. Poor Reddit servers have to bear with 230 million users per month . The Boring Looking website have received 200 million interesting submissions so far. It receives 6 Million Users per day and the internet marketers, promoters, spammers, Clickbait creators are fighting to get that user share pie for free. But, no one succeeds because of its community driven and strongly moderated structure. Only the genuinely popular content moves up on Reddit. The Secret recipe of reddit popularity is the anonymity of users and the insignificance of user accounts. You click on any user profile and you will be directed to a page which shows his submissions, comments etc. along with a link and comment karma. No, selfies with fake expressions, no self obsessed and copied about me text. Just his work (Karma) . That is the real power of reddit. Its focus on content, rather than users. Digg was successor of reddit and was the pioneer of news voting websites. In the year 2010 , Both websites were at the same level, but nuclear growth of reddit from 2010 took it to the top 50 websites on earth and that too in just 5 years. Also , its anonymity lets user speak their mind and go beyond the boundaries of content creation or submission without thinking, what others will think. Check out the screenshot of the the most viewed post in reddit’s History. What gif reduces you to hysterical laughter every time? Hey Reddit, What tattoos do you have? what is your favorite picture on the whole internet? What tasty food would be disgusting if eaten over rice? Life Of Norman – Life stories of a Fictional character Norman in 100 words by Redditors. toasterrights – A community dedicated for making the world a better place for Toasters. LowestPrice – A place to Buy the lowest price items at Amazon. AskScience – Ask science questions from the scientists itself. youtubehaiku – Short funny clips from YouTube. guitarlessons – Learn Guiitar via this subreddit! Webgames – Cool browser based games. frugal – Learn methods to save money. GetMotivated – motivational place on reddit. netflixbestof – Best movies and shows available on Netflix. listentothis – Discover new music. Documentaries – Best documentaries you can find online. Do you know which website gets largest visits from reddit ? Any one who visits Reddit regularly can easily say answer it . Nearly 40% of the Top stories on Reddit are actually images from the image sharing site imgur.com . Imgur receives nearly 30% of its website visitors via Reddit. Actually Reddit do not let users to upload images on its server. Imgur founder Alan Schaaf viewed it as a great Opportunity and created imgur. When he launched Imgur, he posted an announcement on Reddit about its new product. Reddit was founded by University of Virginia roommates Steve Huffman and Alexis Ohanian in 2005. The below screenshot is from the early days of Reddit. Steve down voted Alexis’ first post on Reddit and in this way the very first post on Reddit got its down vote. Last year Reddit earned $8.3 million in revenue, where instagram having same alexa rank and almost same amount of visitors raked in more than $800 million in revenue. Reddit further donated 10% of its revenue towards charity. Now, that means something. Among the crowd of Privacy invaders, ad enforcers and Data Thieves, there is this Open source inspired community who is winning the war over greed.